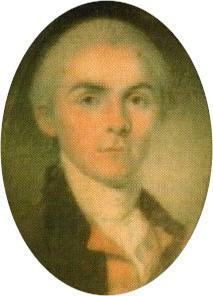 On this date in 1794, Robert Forsyth became the first U.S. Marshal killed in the line of duty. Forsyth, who was appointed U.S. Marshal in Georgia by President George Washington, was accompanied by two of his deputies as he attempted to serve civil legal papers on brothers Beverly and William Allen. When Forsyth knocked on the door to the room where Beverly Allen (a former Methodist minister who probably had a chip on his shoulder over being tagged with an unmanly name) was hiding, Allen shot him in the head, killing him. Beverly Allen was eventually arrested for murdering Forsyth, but he escaped, never to be recaptured.